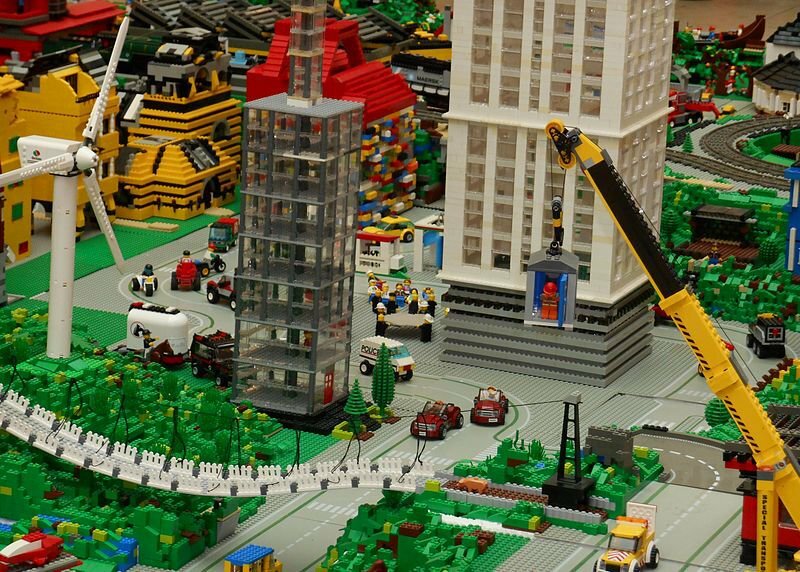 LEGO has become an industry leader in going sustainable. LEGO enthusiasts often imagine some version of their ideal world when building with the brand’s multi-colored blocks and accessories —thriving cityscapes, verdant fields, space parks. But with the knowledge that plastic pollution is overwhelming the world’s ecosystems, buying any form of plastic comes to seem like a contradiction of environmental ideals. That’s why LEGO has decided to move away from plastic in its supply chain, according to a press release, and it could help customers feel less guilty about buying new blocks. It’s part of a broader effort to dramatically reduce the company’s ecological footprint by 2030. “At the LEGO Group we want to make a positive impact on the world around us, and are working hard to make great play products for children using sustainable materials,” said Tim Brooks, vice president of environmental responsibility at the LEGO Group, in a press release. The brand’s first sugarcane-based plastic items will be hitting the market later this year. All botanical elements — LEGO leaves, bushes, and trees — will be made from this material in the future, according to the brand, which account for 1% to 2% of all LEGO products. In the future, the brand plans to expand its offering of sustainable blocks as part of its partnership with the World Wildlife Fund. At first impression, sugarcane would seem to be a bad and sticky material for LEGO pieces, but the company assures its customers that the new blocks are essentially identical to the old ones. It’s still plastic, but it’s a form of plastic that has less of an impact on the environment, according to the brand. As of 2009, the brand claims to have produced 400 billion LEGO pieces, meaning its contribution to plastic pollution is likely enormous. Plastic production also supports the fossil fuel industry, which is the predominant driver of climate change around the world, because plastic is generally derived from petroleum. LEGO has previously invested $165 million in a sustainable material research center, according to the Verge. LEGO’s gradual move away from unsustainable plastic is similar to steps taken by other plastic-dependent brands such as McDonald’s and Ikea. “It is essential that companies in each industry find ways to responsibly source their product materials and help ensure a future where people, nature, and the economy thrive,” said Alix Grabowski, a senior program officer at WWF, in the press release. LEGO has already managed to power 100% of its operations with renewable energy and it vows to reach zero waste in its production by 2030. Global Citizen campaigns to reduce plastic consumption and production in the world and you can take action on this issue here.